The New England Patriots are in the NFL playoffs for a 10th consecutive season and will host the Los Angeles Chargers in the AFC Divisional Round at Gillette Stadium on Sunday, Jan. 13. Kickoff is scheduled for 1:05 p.m. To ready Patriots Nation for another postseason run, Patriot Place and the Patriots Street Team are teaming up to host a Playoff Rally outside of Gillette Stadium on Saturday, Jan. 12, from noon to 4 p.m. Click here for details. Additionally, there will be a chance to win tickets to Sunday’s game, a touchdown dance competition and trivia contest to win autographed memorabilia, a prize wheel, giveaways and photo opportunities throughout the rally. Come enjoy performances by Patriots Cheerleaders, Q&A and fan interaction with Kevin Faulk, fans skating at the Winter Skate ice rink in Patriots gear, fans participating in a touchdown dance competition and Patriots-themed balloon twisting. 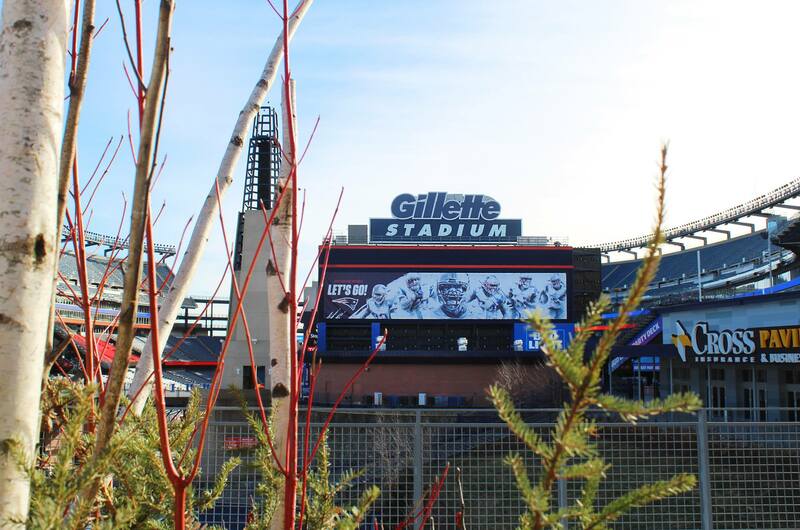 Patriot Place is a shopping, dining and entertainment destination located adjacent to Gillette Stadium in Foxborough, Massachusetts. Patriot Place features large and boutique retailers, 17 casual to high-end restaurants and other nightlife venues. Among the highlights of Patriot Place are New England’s first Bass Pro Shops, a state-of-the-art, 14-screen Showcase Cinema De Lux, the award-winning Hall at Patriot Place presented by Raytheon, the retro-style bowling alley, Splitsville Luxury Lanes, the modern gastro sports pub, CBS Sporting Club, the four-star Renaissance Boston Patriot Place Hotel and the Hilton Garden Inn Foxborough/Patriot Place. For more information, visit www.patriot-place.com, follow Patriot Place on Twitter (twitter.com/patriotplace) or like Patriot Place on Facebook (facebook.com/patriotplace).